Our clients are amazing and we wanted to take a moment to recognize some of their achievements. QRIDit Home Watch Edition has been helping clients send reports, saving them time on every Home Watch visit, helping them grow their business. We took some time to meet with a few of the most active users of our software and congratulate them on having sent so many reports. Congratulations to Diane Pisani and the Affiliates of Your Home Watch Professionals for earning the “The 5,000 Milestone Award”. The award is presented to companies who have successfully sent 5,000 reports to their clients using QRIDit Home Watch Edition, Home Watch Management Software. 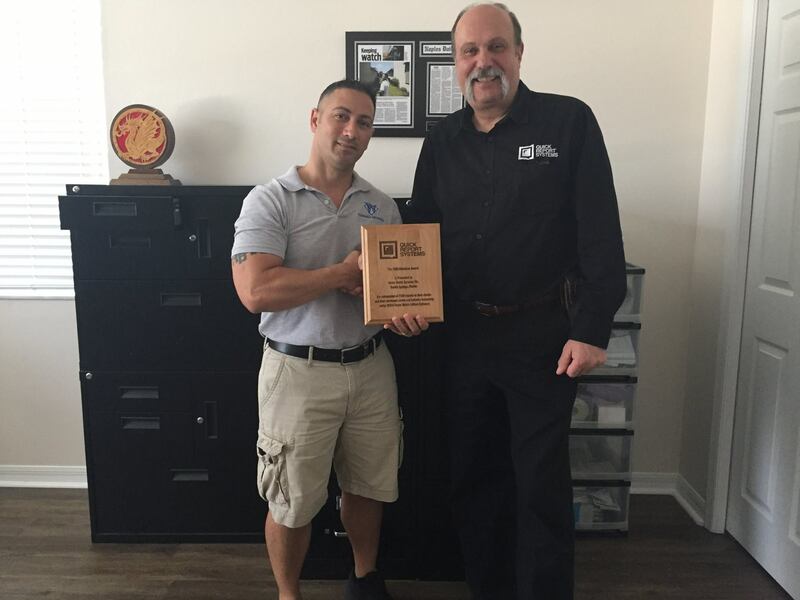 I had the pleasure to personally present the award to Diane Pisani, founder of Your Home Watch Professionals Home Watch Training and Affiliates in Naples Florida. Diane graciously accepted the award on behalf of her Independently Owned Home Watch Affiliates who have collectively submitted over 5,000 reports to their clients using QRIDit Home Watch Edition software. This is a great achievement for their combined efforts, teamwork and commitment to be collectively exceptional. 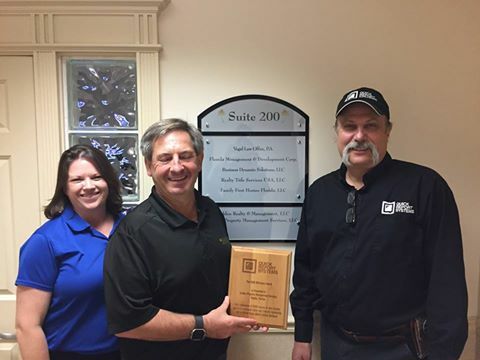 Congratulations to Jessica Macera & Gary Chernow of Golden Property Management Services, Naples Florida for earning the “The 5,000 Milestone Award”. Jessica & Gary along with their team have successfully submitted over 5,000 reports to their clients using QRIDit Home Watch Edition software. This is a great achievement for Golden Management Services and a compliment to QRIDit and the QRS Team! 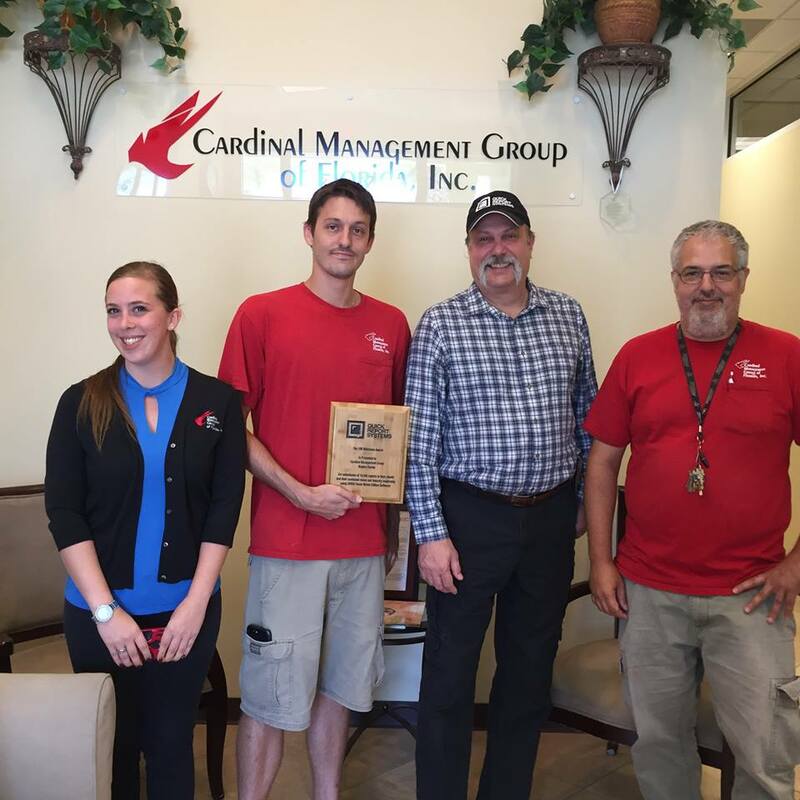 “The 7,500 Milestone Award” goes to Carl Lorenzini owner of Home Watch Services Etc. Carl and his team have successfully submitted over 7500 reports to their clients using QRIDit Home Watch Edition software. 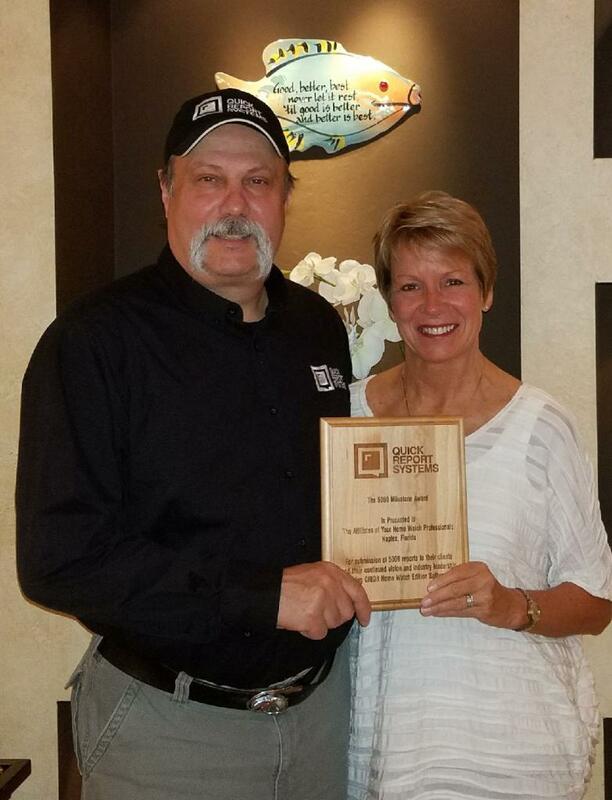 This is not only a huge accomplishment for Carl and his team but a testament to QRIDit and the QRS Team! Congratulations to Kayla Carter, Director of Client Services at Cardinal Managment Group, Naples Florida for earning the “The 10,000 Milestone Award”. Kayla and her team have successfully submitted over 10,000 reports to their clients using QRIDit Home Watch Edition software. This is not only a huge accomplishment for Kayla and her team but a testament to QRIDit and the QRS Team!